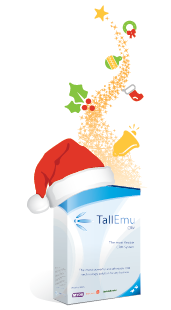 This entry was posted in TE CRM Newsletter and tagged Tall Emu CRM, Tall Emu Dashboard on November 26, 2013 by admin. 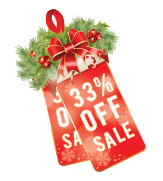 33% off all Tall Emu CRM licences (50% off for existing premium support clients). FREE Tall Emu CRM Web Edition licence, which provides CRM access from anywhere. Sign up for Premium Support and receive a FREE one year licence to Tall Emu Dashboards. A new and cleaner look and feel, including updated menu design. Improved integration with all major accounting systems. NEW integration with Infusion (particularly for our New Zealand clients). Conversations – a visual way to group and view your communications with clients. Improved Project Management module, including GANTT charts for project planning. Hosted email (like mailchimp) is now available. Smart Email editor and merge for easier emailing and formatting. 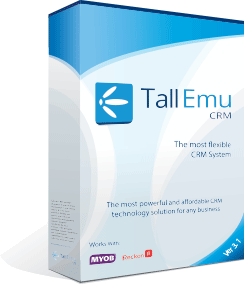 The feature page for Tall Emu CRM version 3 is here. If you’re on a Premium Support agreement please contact support for your free, priority installation. Are you sick of suffering through sales pitches and canned demonstrations? Arrange a personalised webinar where we can give you the information about how CRM can be used in YOUR business to help with YOUR growth. Our customers have asked us for dashboards, and we’ve delivered!What can you measure? Creating KPIs including targets for all areas of CRM. Measuring KPIs based on Geographical aspects, regions and branches. Designed for “over the counter” sales, POS works like a checkout in a supermarket. It displays advertising materials when not in use and fast check-out for your customers (including account customers with special pricing). Tall Emu CRM includes a web-based portal to allow remote data access. This can even include your business-specific customisations and reports. Save time and money by connecting your accounting system with Tall Emu CRM. Streamline ordering and quoting, and give your team access to the information they need. It’s quick and easy to de-dupe your data, and this feature can be applied to other areas of CRM – for example part numbers or PO numbers. Did you know that Tall Emu CRM has industry-leading business automation capabilities?Simple automation, such as following up sales opportunities or email alerts can be configured. Tall Emu CRM also has a powerful workflow system that streamlines and automates your business. One client reduced their sales team by 50% at the same time closing more business! Generation of quotes based on products or services. Detailed product options, variations and costings. Integration with Quickbooks, Reckon, MYOB, EXO and Infusion. Send via email, with unlimited email and quote templates. Automate follow up via email or phone to ensure your quotes translate to sales. 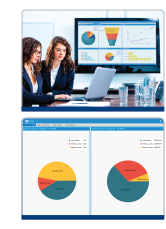 Measure and report with KPI and Dashboards to track processes and profits. Tall Emu CRM has a unique capability: Replace existing excel quote calculators with customised CRM quote calculators! Quote easier, faster and centralise your data. Another standard inclusion in Tall Emu CRM is our web marketing module. Receive leads directly from your web site into CRM, including automated follow ups. Automatically provide quotes base on enquiry type. Promote and sell online with the Tall Emu Shopping cart. This entry was posted in Tall Emu CRM and tagged Tall Emu CRM on November 19, 2013 by Darryl West. One of the big challenges with data is keeping it clean and duplicates, in particular, can be a major issue. 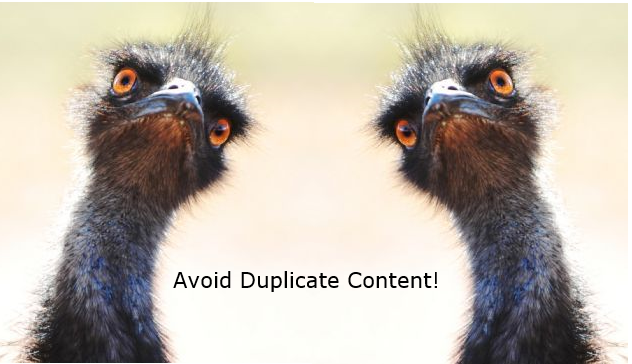 Typical causes of duplication include data entry errors, importing inconsistent data from the accounting system or importing legacy data from an Excel spreadsheet. It is not uncommon for companies that don’t have data quality initiatives in place for duplication rates to be in excess of 20%. The indirect costs of duplication can be huge. Tall Emu CRM version 3 has a number of features that help manage data integrity. Firstly, prevention is better than cure and data can be checked for duplication on entry. When entering a new entity, such as company, other entities with a similar name are automatically displayed. Note that the duplicate checker mechanism is configurable and can be used throughout the system, even on custom fields or a combination of fields, for example, the contact first and last names. Tall Emu CRM also checks key fields on importing external data from and Excel spreadsheet. This means that loading data on matching values (such as first name and last name) can be either updated or ignored rather than create a new record. Introduced in Tall Emu CRM version 3 is the ability to rapidly locate and tag possible duplicates for both contacts and companies. The locate duplicates function is intelligent, using advanced fuzzy logic technology to quickly identify even hard to find duplicates. Once tagged, it is easy to view the possible duplicates and take appropriate action, such as merging records together. Not only is the duplicating checking powerful but it is fast – it can cross-check tens of thousands of records in moments. The merge function combines numerous records into one record, automatically managing the relationships and other entities, such as calls, notes and contacts. Tall Emu CRM manages the business process and it is important that the data has as much integrity as possible. The new features in Tall Emu CRM version 3 allows users to quickly and easily manage and resolve issues with data.